To make your own granola is easy and you’ll get the exact flavor you prefer! Therefore, take this recipe as a guide and make any additions or substitutions from any other spices or nuts/seeds/grains. Keep it in a glass jar and serve as a healthy dessert, a wonderful breakfast or just a quick snack. 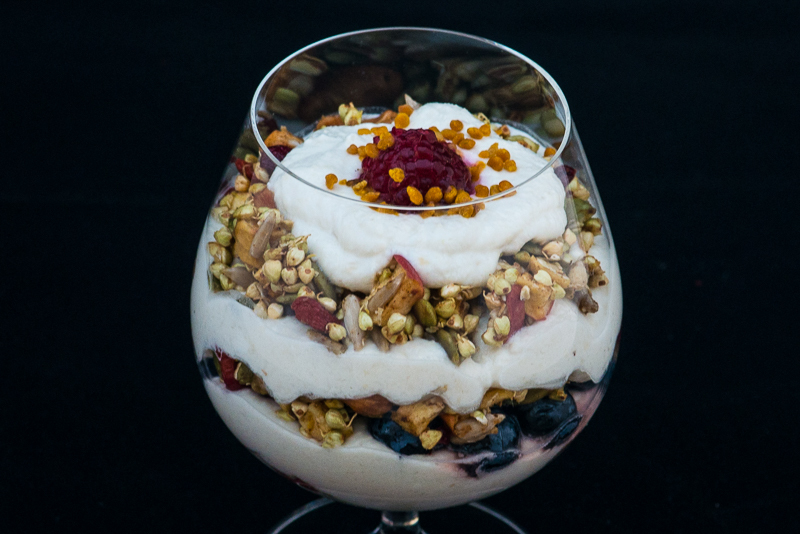 Here I’m serving it as a dessert with a coconut yoghurt and berries (plus some bee pollen sprinkled on top). 100 ml raisins or dried cranberries/lingonberries/chopped apricots (you can also add in some coconut flakes at this point). Serve with: Berries, coconut yoghurt and some bee pollen sprinkled on top. 3. Heat maple syrup, coconut oil, cinnamon and salt in a pan. Let simmer a few minutes, take off heat and add the lime and the vanilla extract. Let cool. 4. Add the syrup mix into the oat mix, stirring well so that everything is well coated. 5. Spread thinly on a baking tray covered with baking parchment and place in over to roast for about 30 minutes. Stir from time to time. (Or, you can toast the muesli in a pan over low heat, constantly stirring until the muesli is dry). 6. Take out of the oven, let cool. Break up any clusters. 7. Add the raisins or other dried fruit. 8. When completely cool, put into large, clean, dry glass jars. 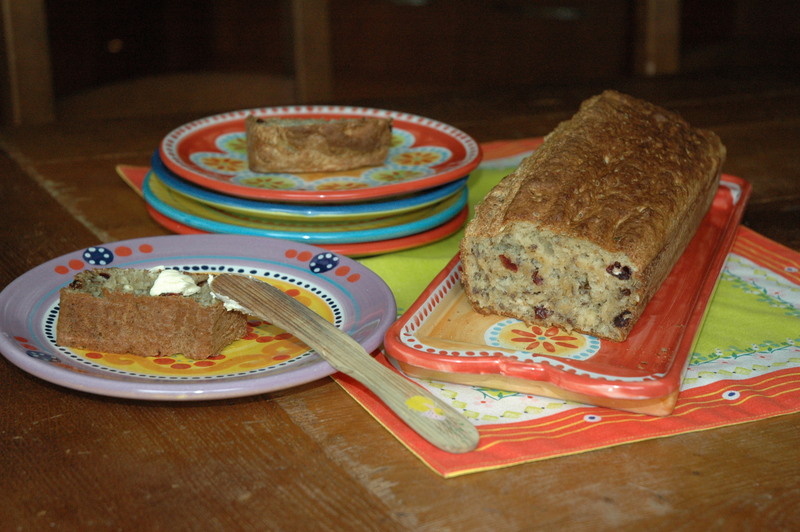 This wonderful recipe originates from a magazines reader’s baking contest. I have adapted it to make it gluten free. On the evening before, simply combine the dry ingredients in one bowl and the liquid in another. The following morning, just cut up and incorporate the butter, mix with the remaining ingredients and place in the oven for 15 quick minutes. Wonderful, quick and easy breakfast treat! Using two spoons, shape 10 scones and place them on a greased baking tray. 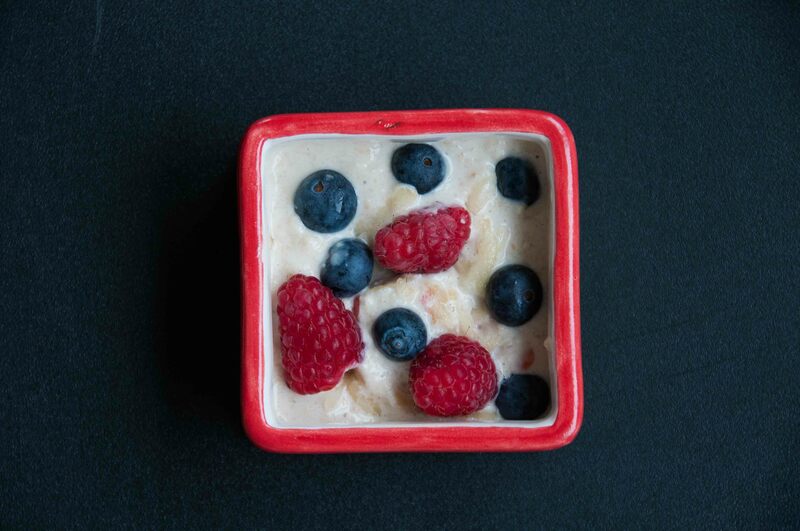 This Bircher Muesli gives a really good start to the day. To be prepared the evening before and enjoyed with your favorite fruits and berries the next morning. In a bowl with the oats, add enough apple juice and milk to moisten. Stir in raisins and almonds. Cover with cling film and refrigerate over night. The oats will soak up all moisture and swell. Before serving, add yoghurt to get a “porridge like” consistency. The oat mix will have become quite hard in texture and you must stir well to avoid any lumps. Sprinkle fruit and berries on top and perhaps end by adding a few drops of honey. 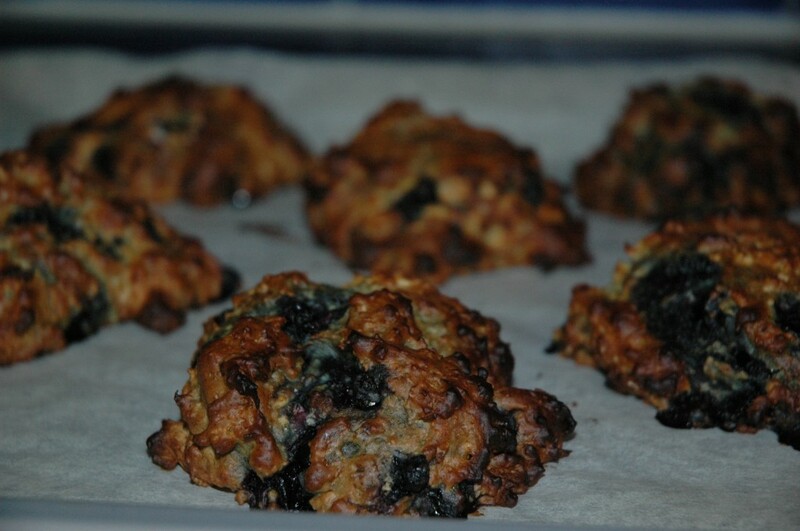 This is a wonderful, easy-made breakfast treat. As it is a bit on the sweet side it goes very well with some cream cheese. Line a bread loaf tin (about 30 x10 cm) with grease proof baking parchment. Pour in tin and bake in the oven for 50-60 minutes (until a knife insterted into the center of the loaf comes out clean). 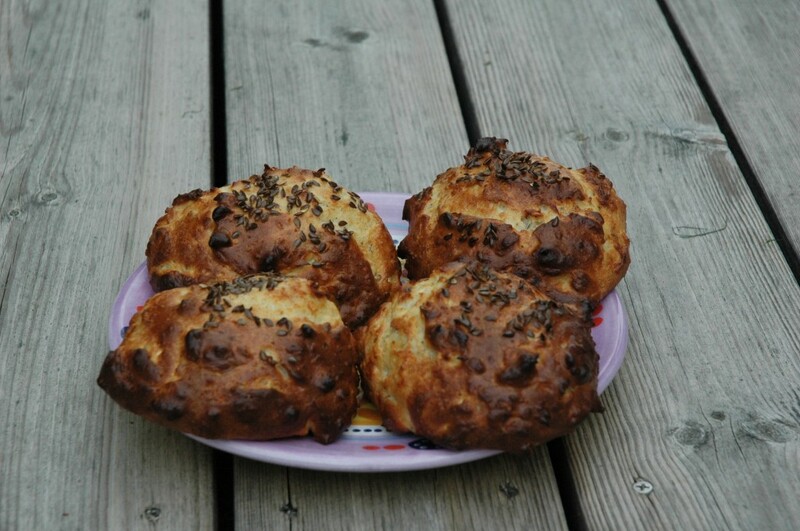 Quick and easy breakfast buns to enjoy with cheese, marmelade or any other topping of your choice. Best served warmed. Mix all the dry ingredients together a day ahead to have them ready for a quick bake the following morning. Using 2 spoons, shape 4 buns on a baking tray covered with greased baking parchment. Sprinkle some flax seed on each bun. Bake around 15 minutes in oven.